Alexs D. Pate is the author of five novels including the New York Times Bestseller Amistad, commissioned by Steven Spielberg’s Dreamworks/SKG and based on the screenplay by David Franzoni. Other novels include Losing Absalom, Finding Makeba, The Multicultiboho Sideshow and West of Rehoboth. Alexs is the President & Founder of Innocent Technologies, LLC, which provides consultative and innovative relationship development solutions that help educational systems, healthcare services corporations and other businesses respond more quickly and more accurately to the needs of their students, patients, clients, and customers. Alexs’s first book of nonfiction, In The Heart of the Beat: The Poetry of Rap, which investigates the literary history and the quality of rap as a poetic expression, was published by Scarecrow Press in January 2010. Alexs’s poetry collection, Innocent, was published in 1998. Alexs is the editor of Blues Vision: African American Writing from Minnesota, published in 2015. In addition, Alexs wrote the foreword to the recently re-published Gordon Parks’ memoir To Smile in Autumn by the University of Minnesota Press. Alexs also wrote the introduction to Mahmoud El-Kati’s new book, Hiptionary. Alexs’s most recent novel, West of Rehoboth was selected as “Honor Fiction Book” for 2002 by the Black Caucus of the American Library Association. 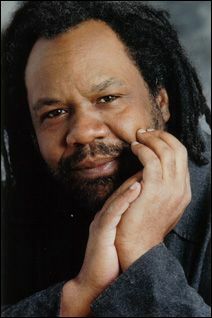 In February of 2002, noted National Book Award novelist Charles Johnson chose Alexs as an “Achiever Who Will Lead The Next Generation” in the area of literature. The list of eight “achievers” was published in the USA TODAY/WEEKEND along with a dialog between Johnson and Pate. As host and curator of the Givens Foundation’s NOMMO author’s series Alexs has engaged in conversation with such writers as Ishmael Reed, Amiri Baraka, John Edgar Wideman, Lucille Clifton, Sonia Sanchez, and Ntozake Shange.